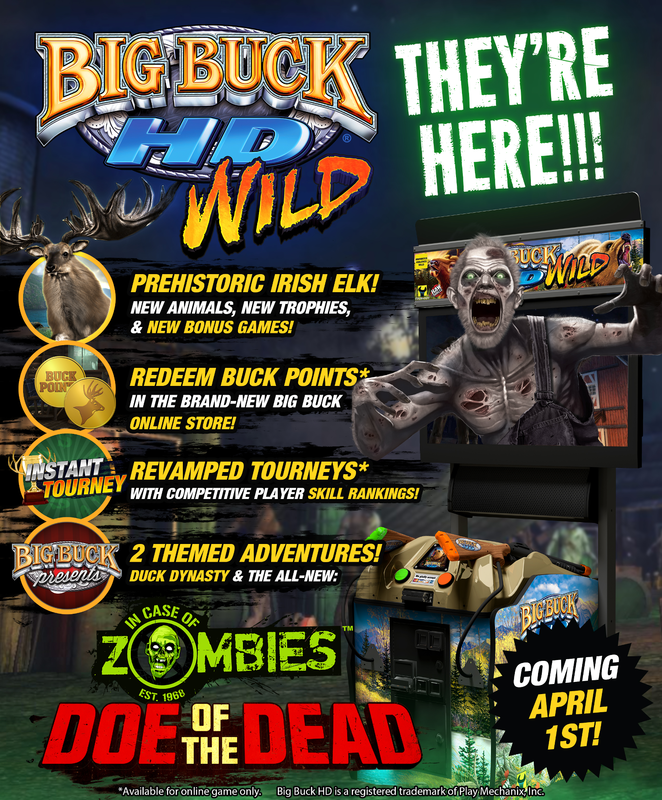 During the Big Buck HD 2014 World Championship online stream, they showed off a promotion for an update that would be made available to online arcade units in 2015. 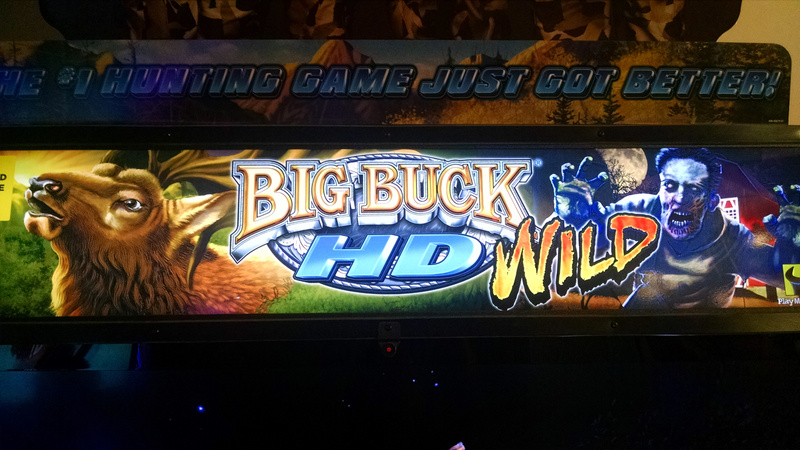 Since December, I have had the opportunity to participate in the location tests for that update, called Big Buck HD Wild. I wasn’t allowed to promote it during that time so they could see how it fared. With Amusement Expo 2015 starting in Las Vegas this next week, the BBHD Wild update will be on hand and Play Mechanix has begun promoting it with a press kit sent out to various media emails today. The release version is slightly different from my test version – initially it had access to Bighorn Sheep and Gemsbok animals, which have been removed and will be released as DLC down the road. Those animals also included some bonus games, which have been removed. As such, for new animals only the Irish Elk is present and 3 new bonus games. One of the benefits of this update over typical arcade machine software changes is that everything is handled through the CoinUp network service. They had the update broken up into several pieces, which I could force the update on if I wanted to. It was a little confusing at first as it appeared that the upload would freeze and after a while the game would reset itself but despite the loading bar standing still, it was downloading the update. It was large enough that it took a couple of days to get everything but I am not sure of the exact file size. Among the benefits of this network system was that PM could make changes quickly. The first build threw crowds of fast zombies at the player almost right away which made it a bit of a challenge and since you have to pump to reload, it became tiresome to keep that up. Most players weren’t expecting the difficulty to shoot up immediately and most people I watched did not bother to continue. But that was tweaked and thanks to the changes, now it is common to see people continuing more often or playing through to the end. In addition to the new software, they also have provided a new marque. These will be offered as a part of the kit which can be purchased and it is worth it if you get the software. I think that alone increased play since it shows a zombie right there so if the player isn’t interested in the hunting part of the game, the zombies draw them in. This has improved the earnings of the game, while I don’t have the exact math in front of me I would say it has gone up around 15-20%. Not everyone plays the zombie mode, the standard hunting rounds still get played, especially the Irish Elk. They have changed how that works to be a little more like Big Buck Safari, in that you will occasionally have a Big Game Trophy to try and get.